Analysis: Wright displayed a strong rapport with both of Carolina's backup quarterbacks, recording season highs in both receptions and receiving yards. He didn't make many big gains outside of a 24-yard catch and run, but it was a solid showing nonetheless. Wright will look to remain involved in the offense during next Sunday's season finale against the Saints. Analysis: Wright trailed only Christian McCaffrey in receptions and targets, but again went for very mild totals. That shouldn't come as a surprise to fantasy owners, though, as Wright's output Monday is about what he's established as his usual performance lately. Analysis: Wright finished third among Carolina's receivers in snaps, featuring for over half of the team's offensive plays. His target count marked his most since Week 5 and allowed Wright to post between 20 and 45 yards for the fifth straight game, illustrating his consistency in a depth role. Analysis: Wright's performance marked his best this season outside of Week 2's five catches for 62 yards and a score. It came while the veteran played over 70 percent of Carolina's offensive snaps, which was an increase from recent outings. 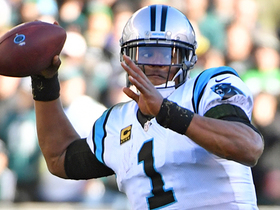 His day could've been even better had Cam Newton hit him for a wide-open two-point conversion that would've won the game, but Wright at least put in an above-average effort. Wright caught all three of his targets for 22 yards in Week 10's loss to the Steelers. Analysis: Wright's totals marked an improved performance compared to recent games but still didn't move the needle much from a fantasy perspective. That's the norm with Wright, though, as he's a veteran possession receiver who adds depth to Carolina's aerial plans. 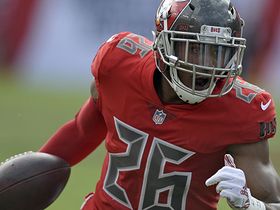 Wright caught his lone target for eight yards in Week 9's win over the Buccaneers. Analysis: The veteran actually played the third-most snaps among Carolina's wideouts, but youngsters D.J. Moore and Curtis Samuel clearly rank as higher priorities for looks and touches. Wright has caught at least one pass in all eight games but boasts just 18 grabs on the campaign. Wright caught two of three targets for five yards in Sunday's 36-21 win over the Ravens. 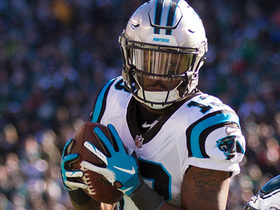 Wright is slated to serve as one of the Panthers' starting wideouts Sunday against the Ravens with Torrey Smith (knee) inactive, Bryan Strickland of the team's official site reports. Wright caught both his targets for 37 yards and gained 34 yards on a rush in Sunday's 21-17 win over the Eagles. He also hauled in a successful two-point conversion. Analysis: Wright had a couple big plays, taking a handoff for a team-long rush along the left sideline during the second quarter before catching a 28-yard pass to help set up a touchdown during the fourth quarter. In doing so, Wright's 71 yards from scrimmage marked his most this season. 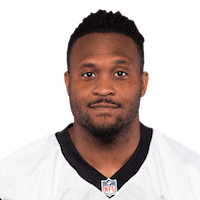 Nonetheless, in playing under 55 percent of Carolina's offensive snaps once again Sunday, Wright's role remains a tough one to put much fantasy stock in. Wright caught one of three targets for three yards in Sunday's 23-17 loss to the Redskins. Analysis: Wright played over 60 percent of Carolina's offensive snaps, but once again failed to make much of an impact. The veteran saw the fewest targets among his fellow receivers, as Devin Funchess, D.J. Moore and Torrey Smith all got at least five looks, and has now managed just 35 yards over the last three games. Wright caught three of his six targets for 25 yards in Sunday's 33-31 win over the Giants. Analysis: Wright's day included a long reception for 27 yards, but his other five looks didn't yield much. Still, it was encouraging to see him get more involved after catching just one pass Week 3. With Curtis Samuel back in the fold, however, and rookie first-rounder D.J. Moore a key piece going forward, it'll be interesting to monitor whether Wright's snap count is impacted in upcoming outings. Wright caught his lone target for seven yards in Sunday's 31-21 win over the Bengals. Analysis: Wright played under 40 percent of Carolina's offensive snaps while watching rookie wideout D.J. Moore take on a larger share than in the first two weeks. 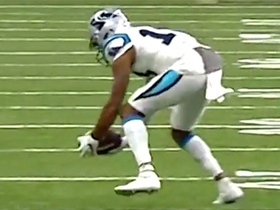 Although Wright hauled in the only look his way, the Panthers' interchangeable receiving options behind Devin Funchess should make his production difficult to predict on a weekly basis. 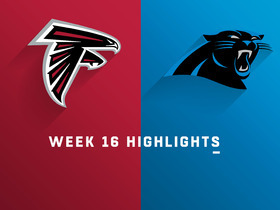 Wright brought in five of seven targets for 62 yards and a touchdown in the Panthers' 31-24 loss to the Falcons on Sunday. 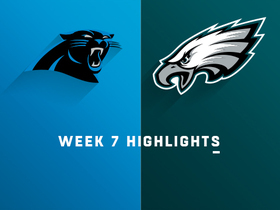 Analysis: The veteran receiver played a key role in the Panthers' passing attack with Greg Olsen (foot) out of action, posting the third-highest reception and receiving yardage totals on the afternoon. Wright has now seen 12 targets through his first two games, certainly an elevated figure for a wideout expected to fill a No. 4 role. He'll look to continue his productive start against the Bengals in Week 3. Wright caught three of five targets for 23 yards in Sunday's 16-8 win over the Cowboys. 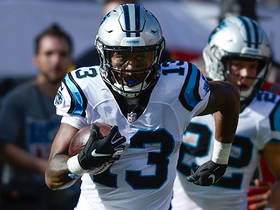 Analysis: Wright featured on just under half of Carolina's offensive snaps, ranking third behind Devin Funchess and Torrey Smith among the team's receivers. That supported the notion that he'd begin the season ahead of rookie first-rounder D.J. Moore, but the fact Wright tied Funchess to lead the group in both catches and targets was somewhat surprising. Sure, his totals were modest, but Wright's familiarity with coordinator Norv Turner's scheme seems to be benefitting him early on. Wright caught his lone target for 28 yards in Thursday's 28-23 win over the Bills in the preseason opener. Wright is signing a two-year contract with the Panthers, including a $2 million signing bonus, Ian Rapoport of NFL Network reports. Wright was released by the Vikings on Friday. Analysis: The move isn't overly surprising as Wright has seen a heavily reduced role the past two seasons, notching only 29 receptions for 265 yards and three touchdowns in 24 games. However, the 28-year-old played a more significant role for the Vikings in their two postseason games, which could spark some additional interest in free agency. 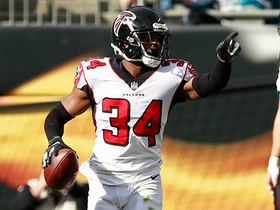 Wright brought in three of six targets for 51 yards while rushing once for four yards during Sunday's 39-7 loss to the Eagles in the NFC championship game. Wright (foot) was a full participant in practice Thursday and did not receive an injury designation for Saturday's tilt with the Packers. Analysis: Wright should be ready to go Saturday after being sidelined for practice to begin the week. The No. 3 wideout has yet to exceed 25 yards receiving in the past seven games and does not appear to be a formidable fantasy option for Week 16. Wright (foot) was a limited participant at the Vikings' practice Wednesday. Analysis: Wright sustained the injury in Sunday's win over the Bengals and was unable to practice Tuesday. The 28-year-old is trending in the right direction for Week 16, but his participation at Thursday's practice should provide further clarity. The Vikings listed Wright (foot) as a non-participant in Tuesday's estimated practice report, Ben Goessling of the Minneapolis Star Tribune reports. Analysis: Wright exited Sunday's win over the Bengals with the injury, finishing the outing with one reception for 11 yards. His involvement in the Vikings' actual practices Wednesday and Thursday should prove more telling for his status heading into the Week 16 matchup with the Packers, but if Wright is ultimately held out of that contest, Laquon Treadwell and Michael Floyd could see more use in three-receiver sets. Wright is doubtful to return to Sunday's game against the Bengals. Analysis: Wright logged one reception for 11 yards prior to suffering the injury. Michael Floyd should see increased snaps as the Vikings close out their blowout of the Bengals. Wright had two receptions for 13 yards on two targets in Sunday's loss at Carolina. Analysis: Wright played 26 snaps on offense, which was his most since Week 7. He hasn't had more than four targets in any game this season and continues to serve as the fourth or fifth receiver, however, which offers little value in most fantasy formats. Wright had three receptions for 18 yards on three targets in Sunday's 14-9 win at Atlanta. Analysis: Wright played 14 snaps on offense, which is lower than the last two games, but he's had three targets each of the last two games. Still, no receiver after Stefon Diggs and Adam Thielen is getting enough playing time for viable fantasy value in most formats. Wright had one reception for 23 yards on his only target in Sunday's 24-7 win over the Rams. Analysis: Wright has had just one target in each of the last three games, even though he's been efficient with two receptions for 30 yards and a touchdown. He played just 11 snaps on offense Sunday and is unlikely to have more than a token role in the offense as Adam Thielen and Stefon Diggs get almost all the targets among wide receivers. Wright had one reception for a one-yard touchdown on his only target in Sunday's win at Washington. Analysis: It was just his fourth reception and sixth target in his last six games, so we wouldn't read too much into Sunday's performance -- even though his catch went for a touchdown. He's buried on the depth chart with no wide receivers outside of Stefon Diggs and Adam Thielen getting enough targets for viable fantasy value. The Cleveland Browns stop the Carolina Panthers on fourth-and-goal. Carolina Panthers wide receiver Jarius Wright throws down Tampa Bay Buccaneers cornerback De'Vante Harris for a 33-yard gain. Carolina Panthers quarterback Cam Newton sails a pass over wide receiver Jarius Wright's head for an incomplete pass on a two-point try. Carolina Panthers quarterback Cam Newton connects with wide receiver Jarius Wright down the middle for a 28-yard gain. 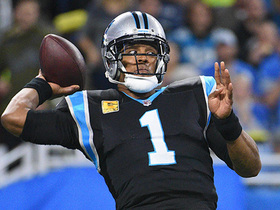 The Carolina Panthers successfully convert a two-point conversion with a scoring pass from quarterback Cam Newton.